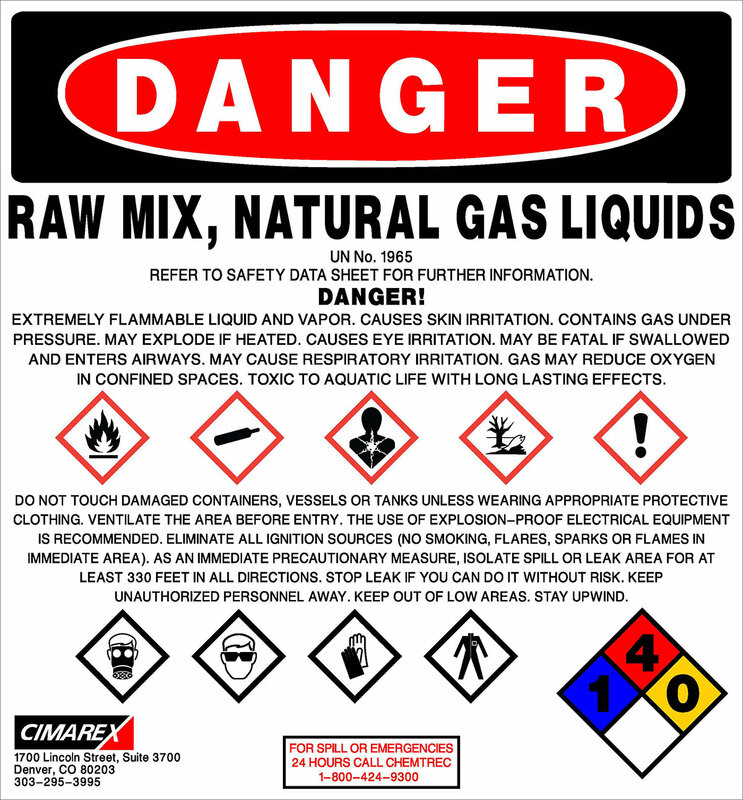 The New GHS System - The Globally Harmonized System (GHS) is a worldwide initiative to promote standard criteria for classifying chemicals according to their health, physical and environmental hazards. 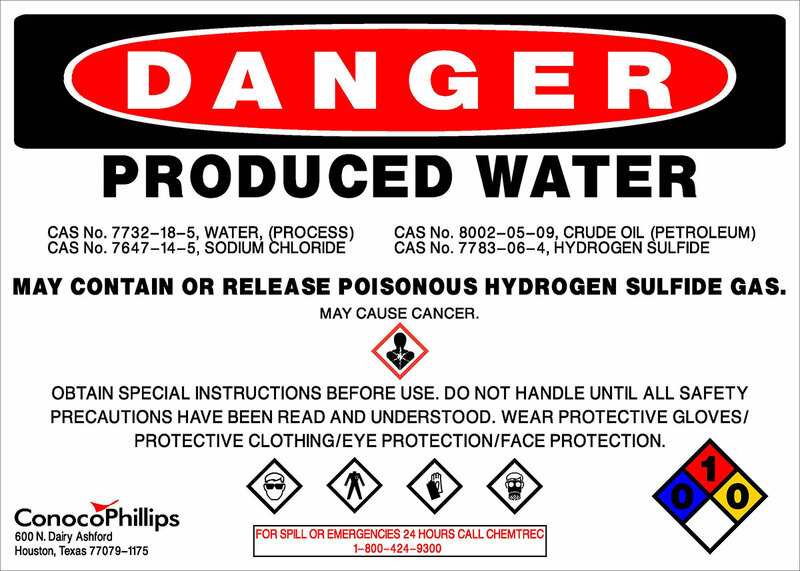 This system uses pictograms, hazard statements, and signal words like "Danger" and "Warning" to better communicate Hazard Information on product labels and safety data sheet in a logical and comprehensive way. The consistent and widespread use of this new GHS system will lead to a better protected worker, a safer workplace and a cleaner environment. 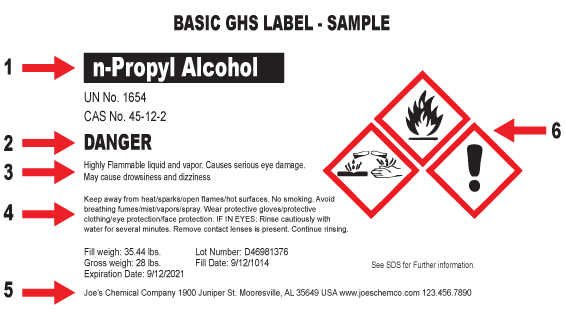 Each GHS Label is designed with specific information in mind - and relies on data from the products Safety Data Sheet (SDS). 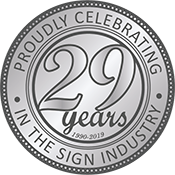 Let us help you prepare your facility for GHS with identification products that will help keep your hazard communication program up-to-date and compliant. Call or email us today for your custom information. 1 Product Identifier - Should match the product identifier on the Safety Data Sheet (SDS). 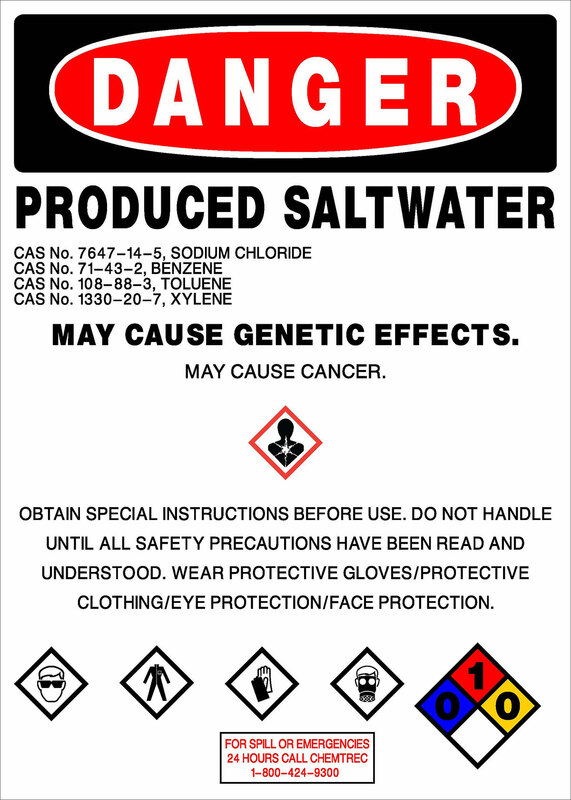 2 Signal Word - Either use "Danger" (severe) or "Warning" (less severe). 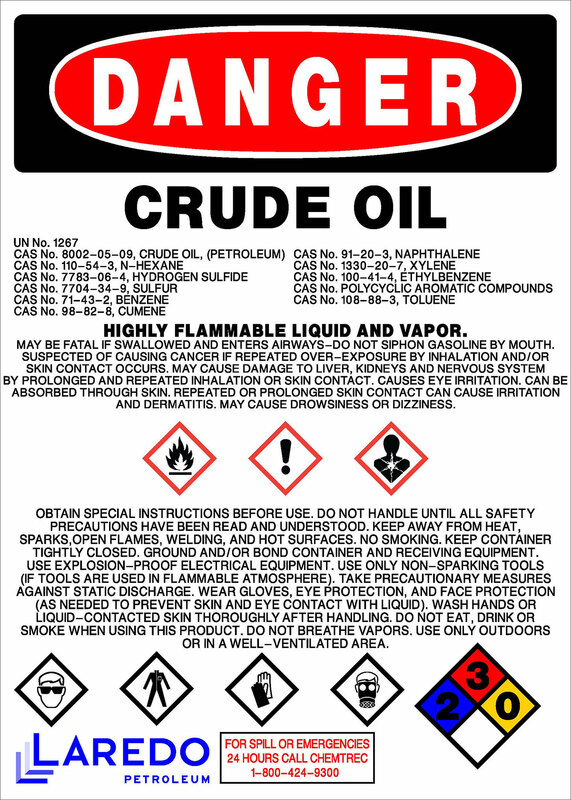 3 Hazard Statements - A phrase assigned to a hazard class that describes the nature of the products hazards. 4 Precautionary Statements - Recommended measure to minimize/prevent adverse effects from exposure. 5 Supplier Identification - The name, address, and telephone number of the manfacturer or supplier. 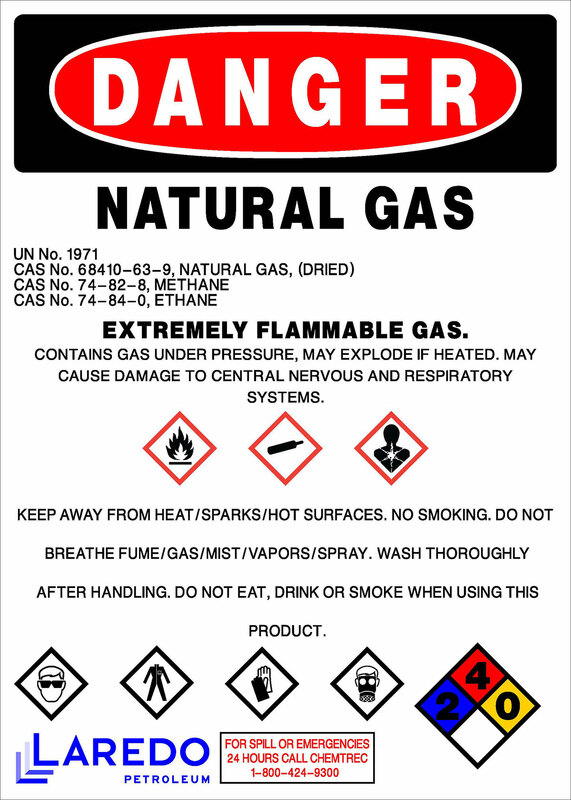 6 Pictograms - Graphical symbols intended to convey specific hazard information visually.